Bring the captivating wonder of a great blue heron rookery to the world through a Chesapeake Conservancy wildlife webcam! The Chesapeake Conservancy has been invited to set up a live-streaming webcam by a landowner on Maryland’s Eastern Shore whose property is home to a rookery of great blue herons. We can share the wonder of these majestic birds live on your screen 24-hours-a-day, complete with infrared camera technology so that you can also see the herons in the dark. But we need your help to make it a reality. 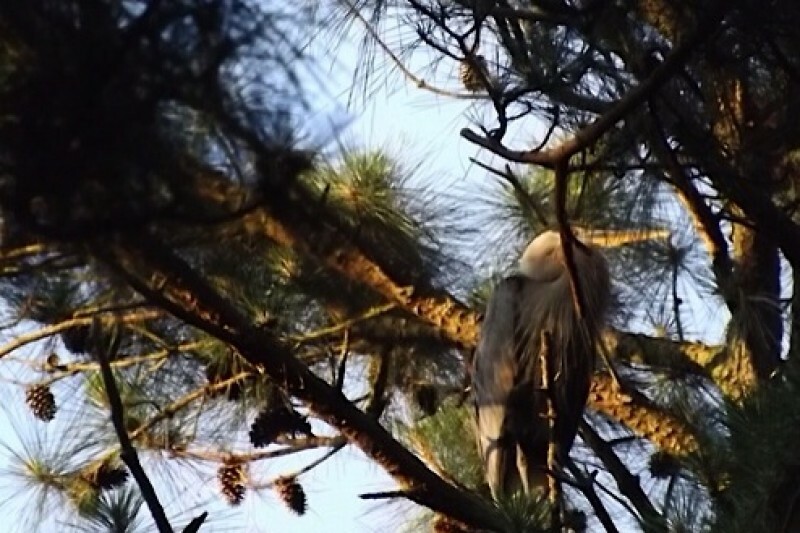 For the last 10 years, each spring, the property has been home to 10-12 great blue heron nests nestled in a relatively small loblolly pine grove. Once the large blue eggs hatch, this rookery contains roughly 50 great blue heron at a time. This new opportunity comes with a catch: the Conservancy needs your support to make this cam available for all to enjoy. For a small donation, you can help the Chesapeake Conservancy purchase the equipment, pay for the service to set up the webcam and broadcast the rookery all over the world. And we must move fast, as the heron customarily return to their nests in the next two weeks. We must mount the camera quickly so as not to disrupt the rookery. This video taken last summer at the rookery location by the homeowner. Both our osprey and peregrine falcon cams have attracted more than a million views a year from around the world. "Tom and Audrey ," are Kent Island's celebrity osprey couple, and peregrines "Boh and Barb " live in downtown Baltimore on the Transamerica skyscraper. These wildlife webcams give the Conservancy a way to connect people to the Chesapeake Bay and the species who call it home. With your help, we now have the opportunity to showcase the daily lives of another of the Chesapeake’s iconic species: the great blue heron (Ardea herodias). We have secured a generous donation from a tree service based in Rehobeth, DE, to mount the cam in the 80-foot-tall pine, and a discounted equipment and installation rate through Skyline Technology Solutions, Inc., the same company that helped us launch our other very successful wildlife webcams. You can help us teach the world about these beautiful birds. We thank you for your generosity and greatly appreciate donations of any size! $15k is our high goal! Any additional funds will allow us to cover hosting and maintenance of our other wildlife webcams. The Chesapeake Conservancy works to achieve a healthier Chesapeake Bay watershed by connecting people with its wildlife and history, conserving landscapes and rivers, and restoring its natural resources. We serve as a catalyst for change, advancing strong public and private partnerships, developing and using new technology, and driving innovation throughout our work. The Chesapeake Conservancy believes that connecting people to the Bay is vital to the long-term preservation and restoration of the Chesapeake Bay watershed. Through programs such as our wildlife webcams, we hope to create an emotional connection between people and the wildlife and special places within the watershed. This builds a sense of appreciation and wonder for the Bay and its great rivers and fosters stewardship to ensure the long-term protection of this national treasure. Congratulations Rell & Eddie! There are chicks in the nest! I have WONDERFUL news to share! We've just received a very generous donation from Waterfowl Chesapeake for the Great Blue Heron Rookery cam! With their $3,000 donation, we are now over the $10k goal! We are so grateful! Check out Waterfowl Chesapeake's website at www.waterfowlchesapeake.org, and share a thank you with them if you're so inclined! Any funds generated over the goal will be applied toward the operation of our other two wildlife cams. Thank you all very much for your support! You did it! Thank you!!! Looks like everything is lined up to launch the cam live tomorrow. We've got a couple, "Rell & Eddie" (named by the homeowner by two surfers who are gone but not forgotten), incubating their eggs on a back nest. And lots of drama in a front nest where "Great Blue Bandits" stop by to steal sticks! 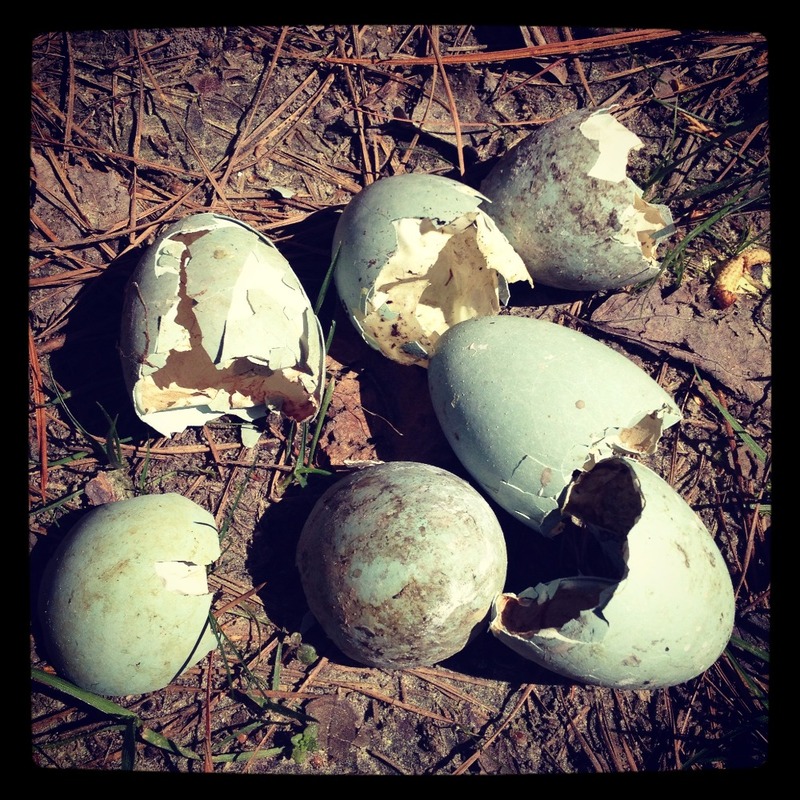 You can sometimes hear a nearby owl at night, and I can't believe the eggs don't fall out of their nests when the loblolly pines blow in the breeze. On a windy day like yesterday, this is quite a sight! Can't wait to share it with all of you - the folks who made it happen!